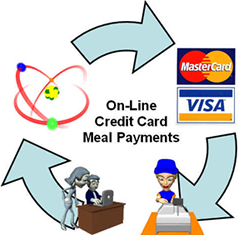 MiChoice offers your district an online meal prepay option through RevTrak, Inc. Parents can visit MiChoice’s mymealmoney.com website to check their student’s meal account balance and make a payment using the district’s personalized RevTrak® Web Store. A simple daily import allows district personnel to import meal payments from RevTrak to MiChoice with no manual data entry required. RevTrak is a secure PCI certified payment processing solution. Fund accounting reports make reconciliation simple for district personnel, increasing efficiency and saving you time. As the premier provider of credit and debit card solutions for K12 schools, RevTrak has been providing unparalleled client service for over 20 years. MiChoice and RevTrak partner to bring you an efficient, integrated solution for meal payments. For more information about RevTrak, please visit www.RevTrak.com.